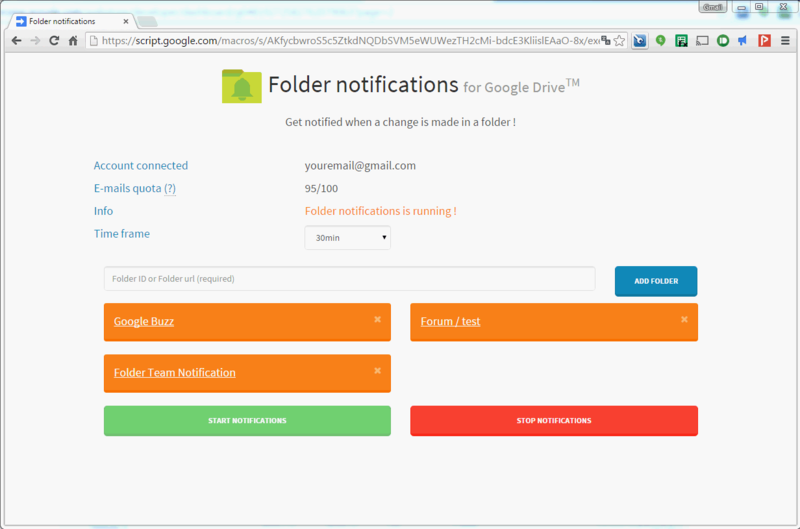 Get notified of any changes in any files within a Google Drive folder and all it subfolders. Setup your folders and receive an email when a change is made on a file at the time frame you want ! Setup your folders in the app up to 10 to receive an email when a modification is made in the folder and all its subfolders. Deletion is not triggered. E-mail sent are mobile friendly to let you have a clear view of changes in all the devices you use. Our app works with all Google Files (not only Spreadsheet) and will also trigger file added like PDF or Office files.